The New York legal market throws up two big obstacles for midsize law firms: great expense and intense competition. But several midsize firms based in the mid-Atlantic region have boldly expanded their reach in New York in recent months, generally with an eye on expanding key practices or client relationships. “If they’re further expanding into an industry segment or a practice area where they already have some success, they may have success in New York by bringing in some laterals,” said Silvia Coulter, a founding partner of LawVision Group. Earlier this month, Philadelphia-based defense firm Weber Gallagher Simpson Stapleton Fires & Newby hired six lawyers in New York who have a retail-focused defense practice. 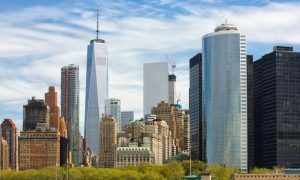 Offit Kurman, which was founded in Maryland and has a growing Philadelphia presence, continued its creep northward this year, hiring 20 lawyers in Manhattan. The firm announced an affiliation in April with 12-lawyer Menaker & Herrmann, and earlier in the year, it had brought on a group of eight from now-closed firm Eaton & Van Winkle. Regional firm Archer, based in New Jersey, acquired a bankruptcy boutique in February, allowing it to add its first full-time office in New York. The small firm’s rate structure was in line with Archer’s, firm leadership said, and was expected to add $2 million in revenue in the short term.